The Clinton clinic is located on the east side of the Westside Medical building. This location offers multiple specialty therapies including ASTYM, pneumatic unweighting and aquatic therapy. Therapists at the Clinton clinic also provide therapy to the sports teams of Roy, Clearfield and Syracuse High Schools. The Clinton clinic specializes in sports injuries as the staff includes Physical Therapists and Certified Athletic Trainers and they have provided sports injury assessments to the local school/youth sports programs for the past 10 years. This location offers free first-time sports injury screens for local school/youth athletes. Mark is very professional and kind. He has a great sense of humor and that eases the tension of therapy for me. I have used Mountain Land for several surgery rehabs and will continue to do so in the future. Mark is very knowledgeable, professional, and has great social skills. I enjoy the time I spend at Mountain Land! Mark is exceptional in explaining the treatment and the expectation for a positive outcome. Ryan is an outstanding physical therapist. I appreciated all of his efforts. All of the staff is excellent!! Thank you for your help. Loved how I was treated. Education was provided and each step was taken slowly. …I will recommend it to anyone needing therapy that I may know. Mark and his team are fabulous. My family and I have been seeing him off and on for about six-eight years. He does a wonderful job!! I really enjoy working with Mark Flinders for my physical therapy. He has gone the extra mile to help me and my husband this year following surgeries. The entire staff is kind and friendly! Highly professional and amicable team! Mark Flinders treated me once before for another ailment and my recovery was fantastic. When I injured my knee and required physical therapy again, I immediately requested Mountain Land knowing Mark & the team would guide me through recovery. Mark is a graduate of Clearfield High School and Weber State University. He received his Bachelor’s degree in physical therapy from the University of Oklahoma. 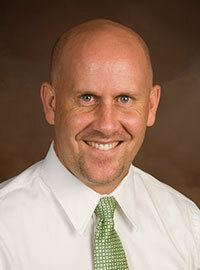 His experience includes orthopedic, acute care and sports physical therapy. In 2012, Mark became a Board Certified Sports Specialist through the APTA. Mark has provided sports medicine coverage for Clearfield High School since 2000 and also assists with Roy High School athletic coverage. He and his wife Crystal live in Syracuse where they enjoy sports and all outdoor activities. 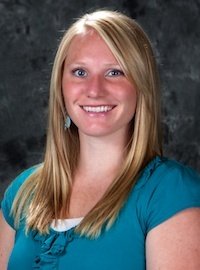 Jennifer Harp, DPT grew up in Northern Utah, living in Layton, Ogden, and currently Syracuse. She has been on the Mountain Land team since 2008. 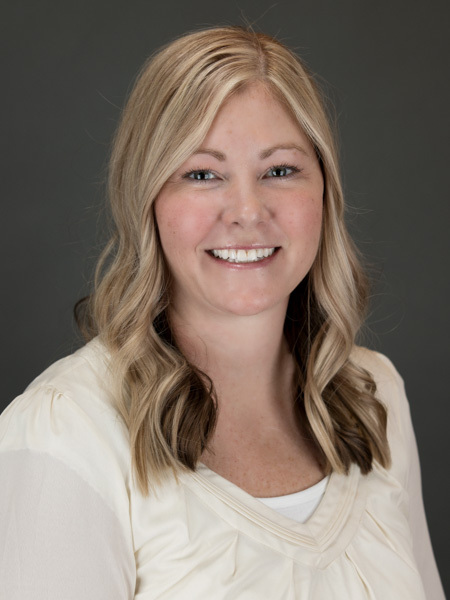 Jennifer started at the Layton Clinic as an aide, and since graduating from the University of Utah as a Doctor of Physical Therapy, has become a staff therapist at the Clinton Location. Jennifer was inspired to become a physical therapist after she was injured in high school and spent most of the summer in an outpatient clinic. During her treatments, she was impressed by the common goal among patients that included athletes, children, and seniors, to return to something they loved to do. Jennifer wanted to become a piece of that puzzle by helping people meet their goals. In her free time Jennifer enjoys, hiking, running, mountain biking, sports, movies, and boating with her family and friends. Kristin has practiced Physical Therapy since 2015 after graduating from the University of St. Augustine with a Doctorate in Physical Therapy. In addition to being experienced in orthopedics, Kristin is certified in Trigger Point Dry Needling. As a teenage athlete, Kristin suffered from Patellofemoral Syndrome and multiple dislocations. While recovering from surgery, Kristin was introduced to the benefits of Physical Therapy and immediately knew she wanted to be a therapist someday. Kristin utilizes manual therapy and a patient-oriented approach to maximize progress and to help each patient get back to doing the things they enjoy. In her spare time Kristin enjoys hiking, biking, winter sports and spending time with family and friends. Valeri joined the Mountain Land team in 2011. She graduated from Salt Lake Community College as a Physical Therapist Assistant in 2002 and has been practicing ever since. Valeri has experience in treating everything from pediatrics to geriatrics, but has spent most of her time in outpatient clinics treating sports and orthopedic injuries. She was led to pursue a career in physical therapy from her time spent need treatment from her various injuries playing soccer. Outside of the clinic, Valeri enjoys sports, hiking, camping, and being with her husband and two girls.